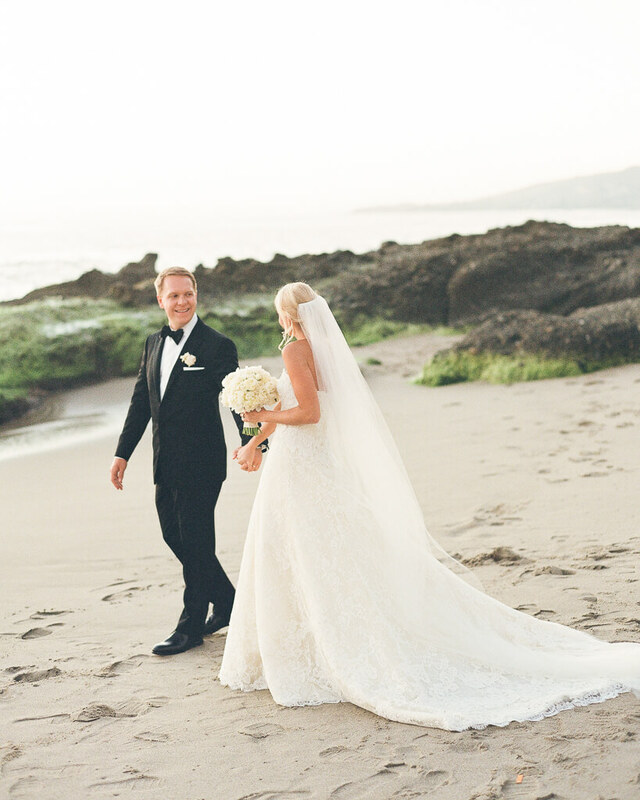 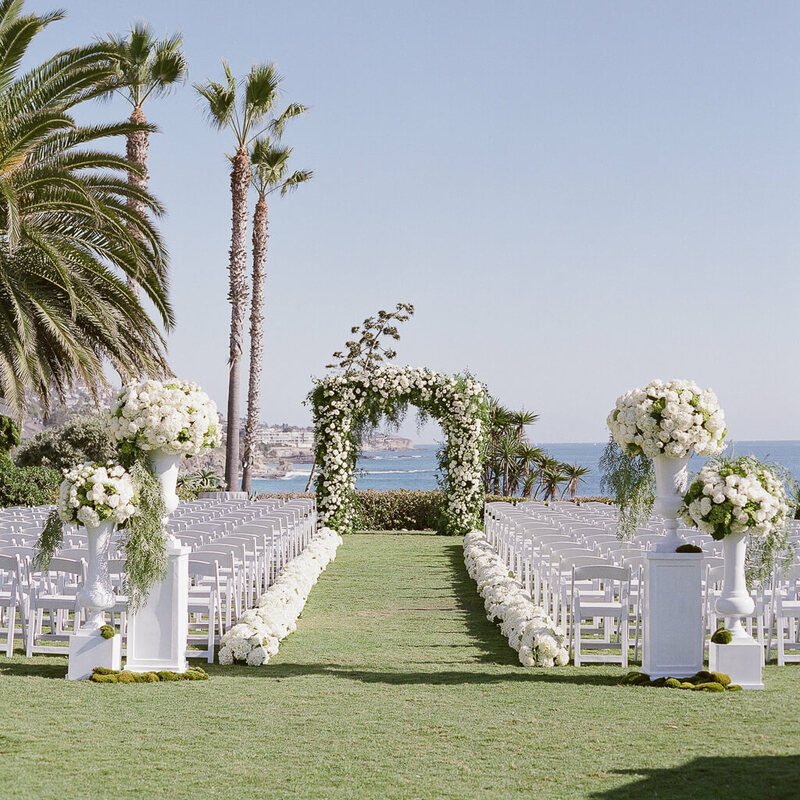 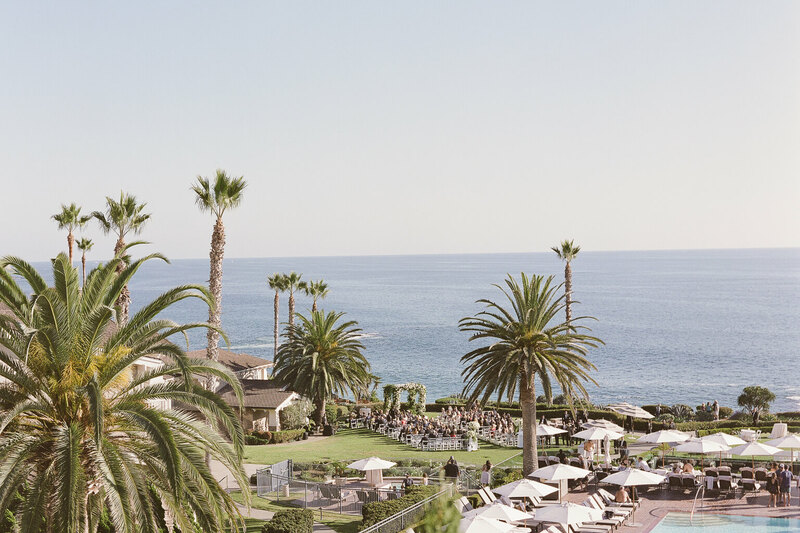 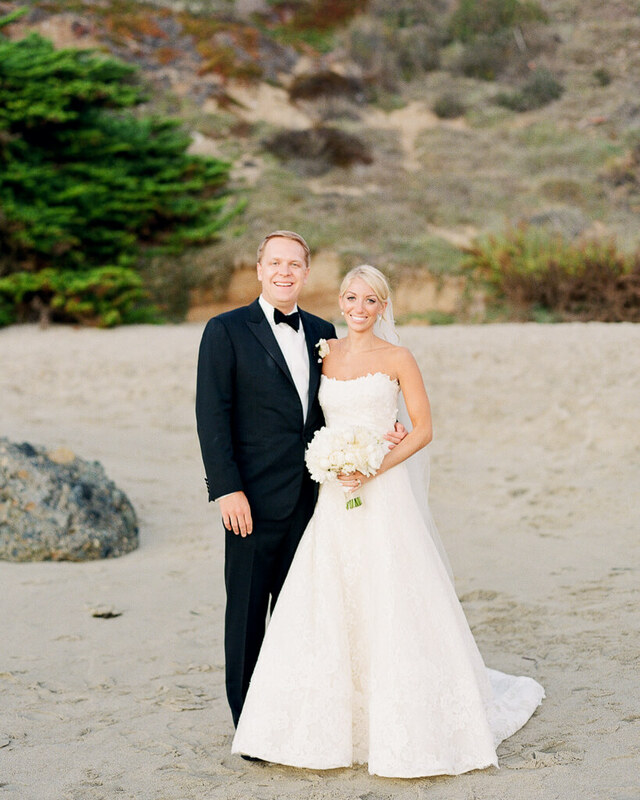 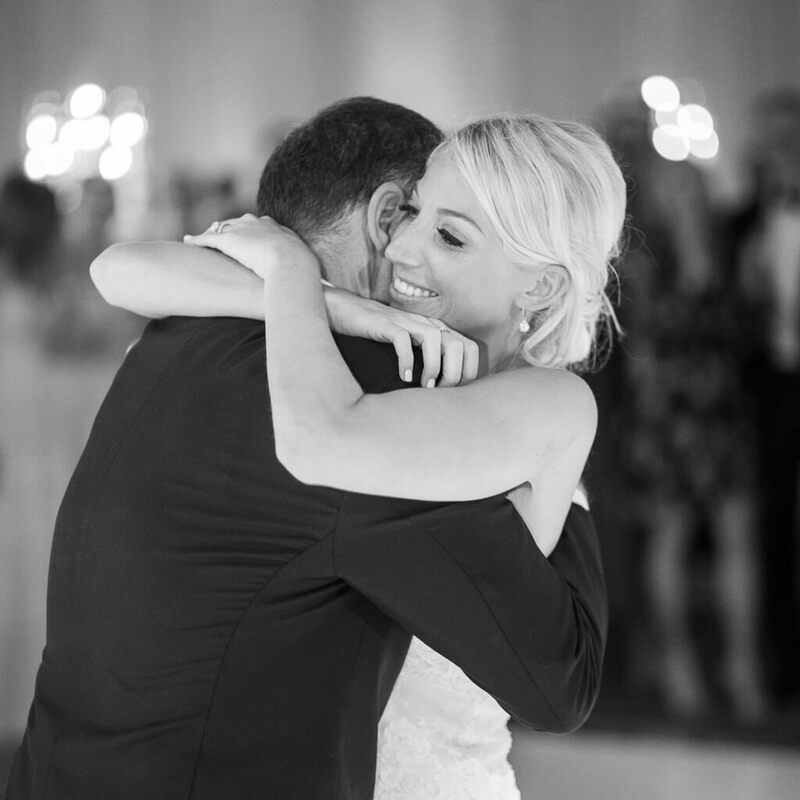 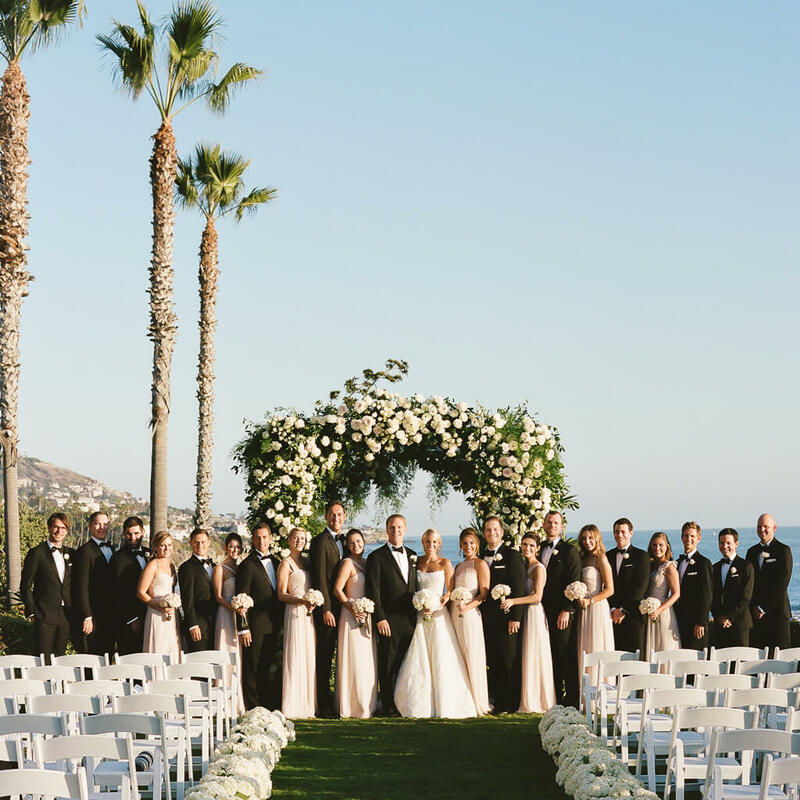 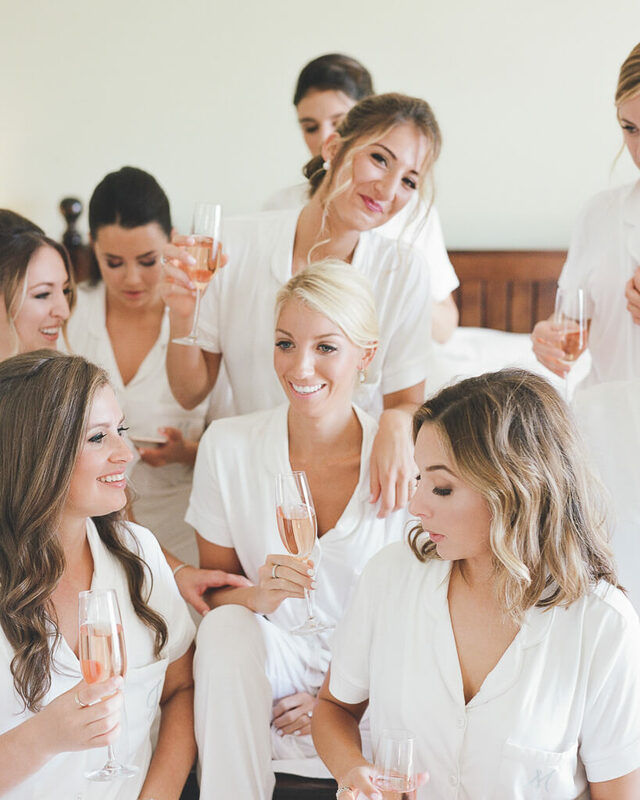 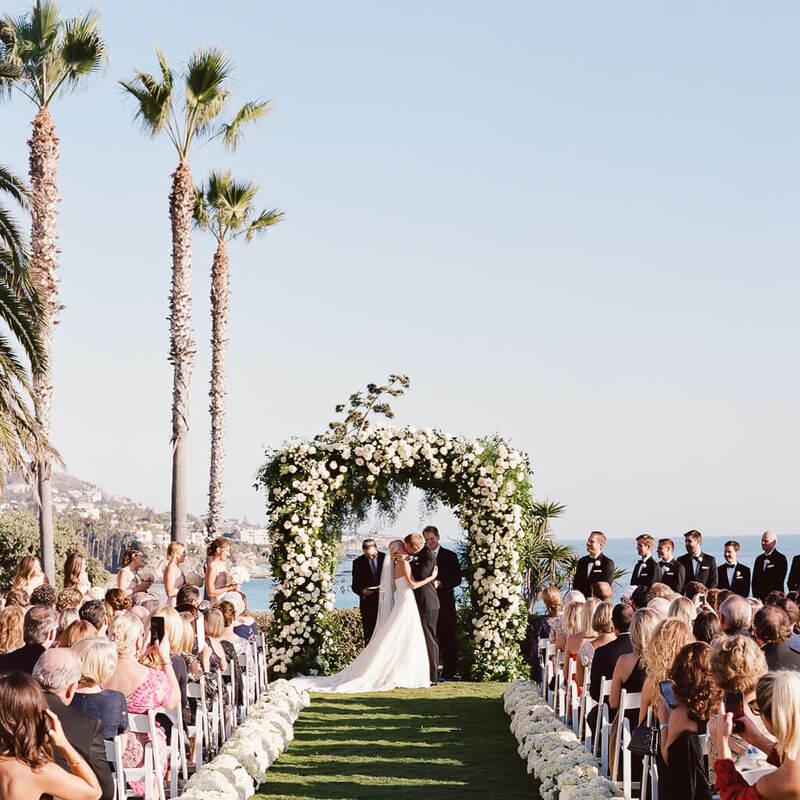 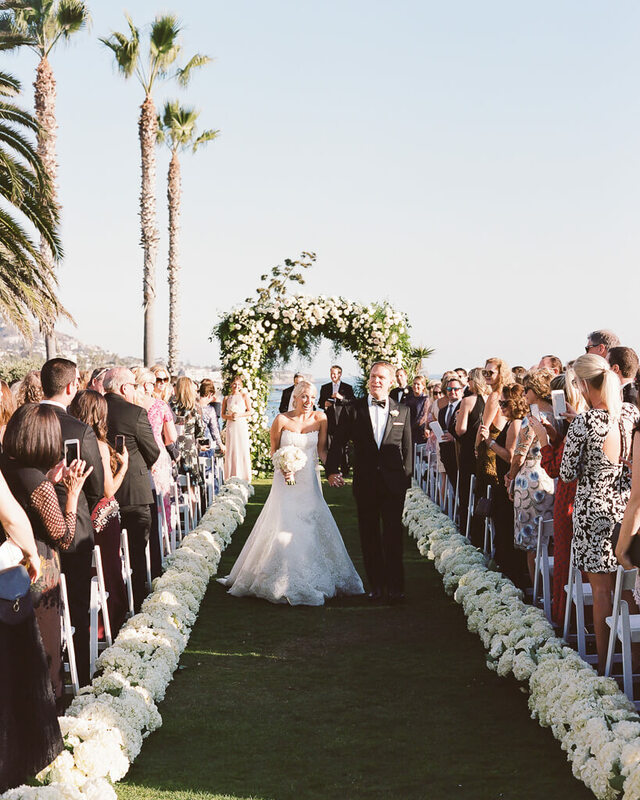 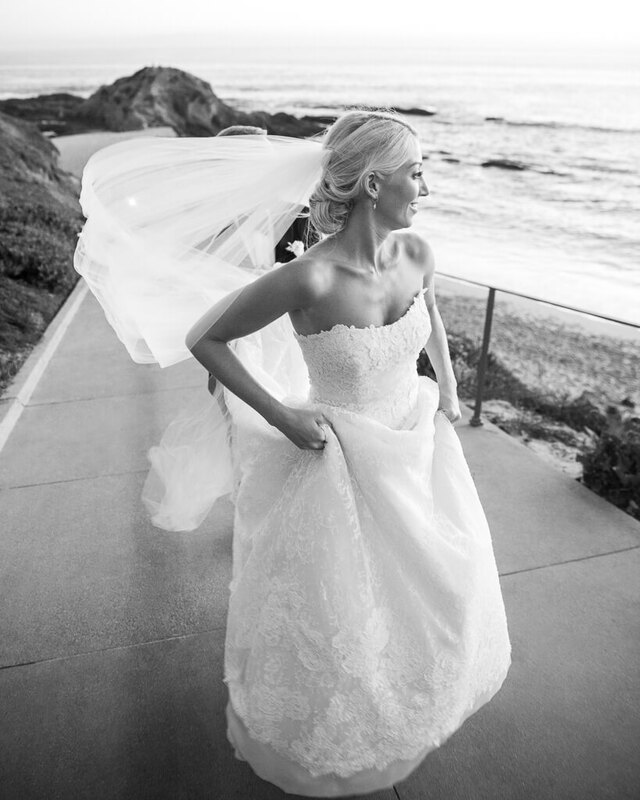 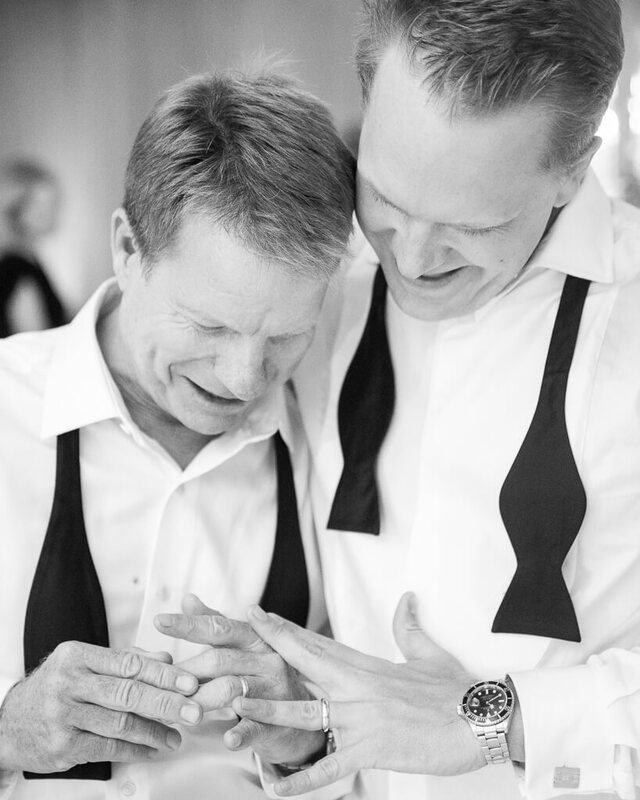 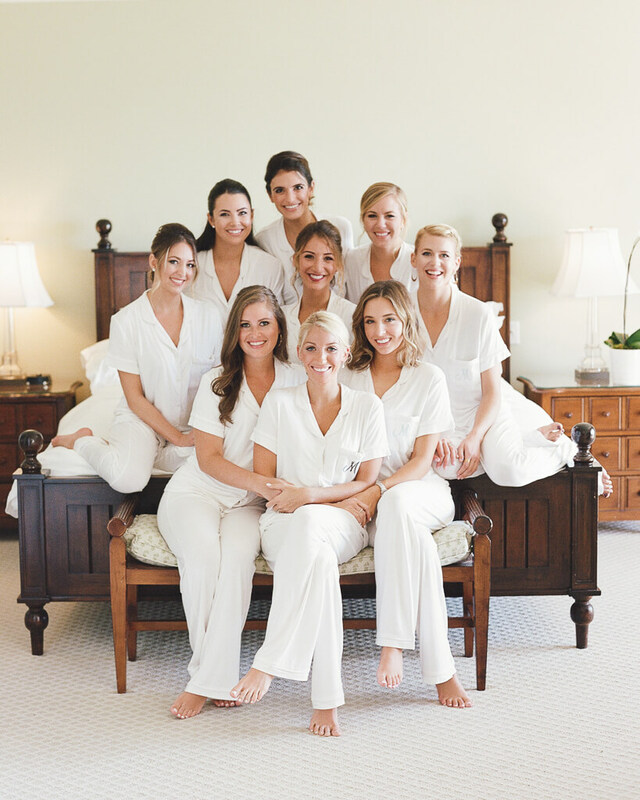 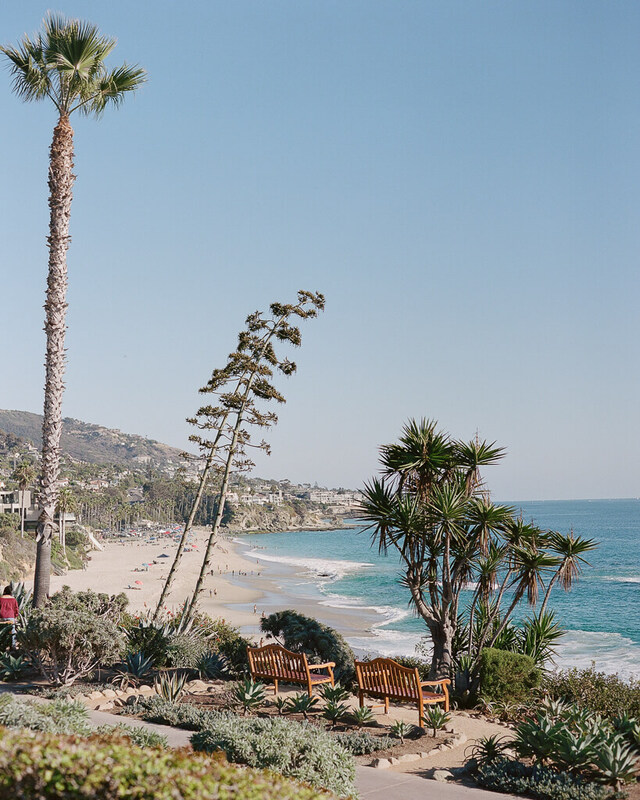 In late September, Melissa and Don welcomed their loved ones to Montage Laguna Beach for a luxurious wedding celebration in sunny Southern California. 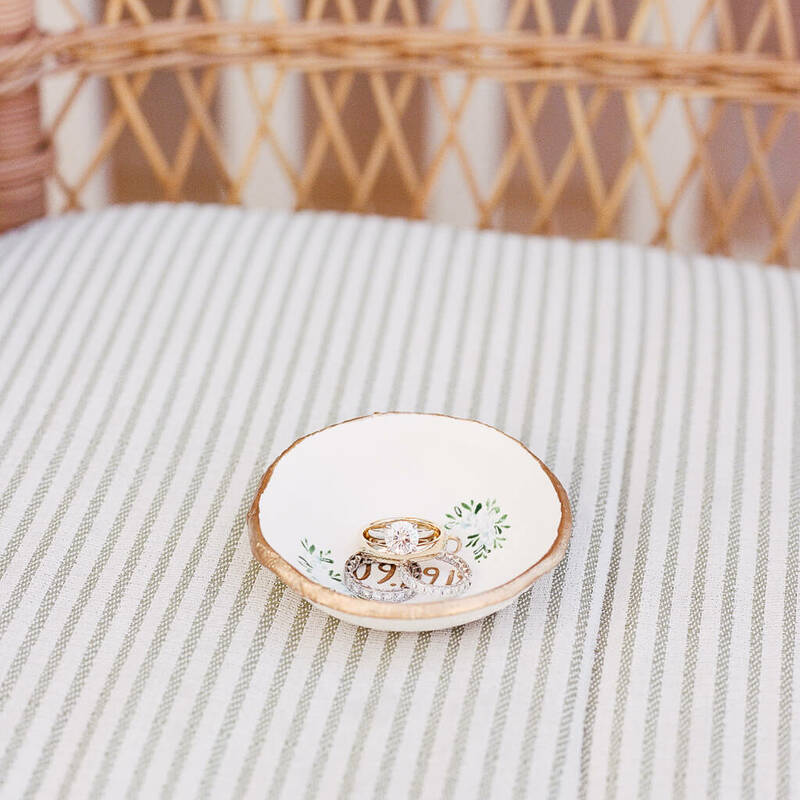 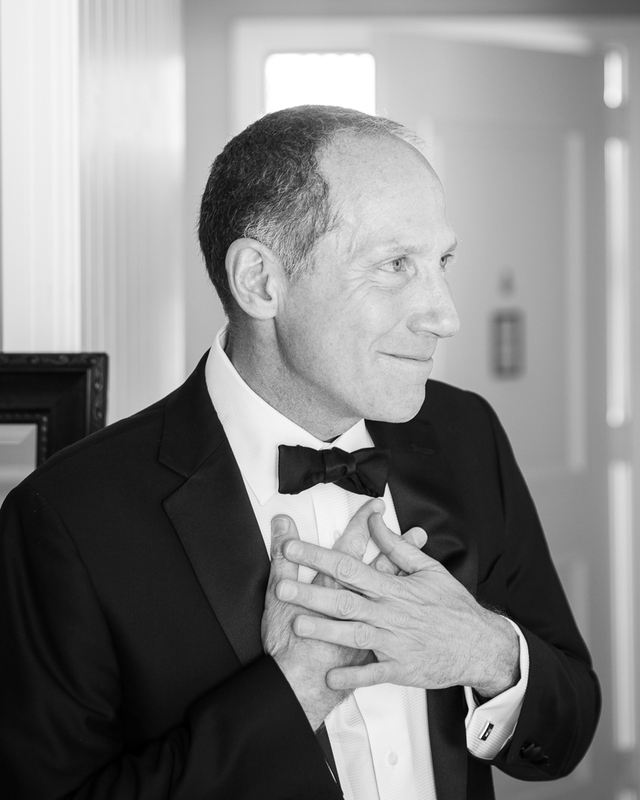 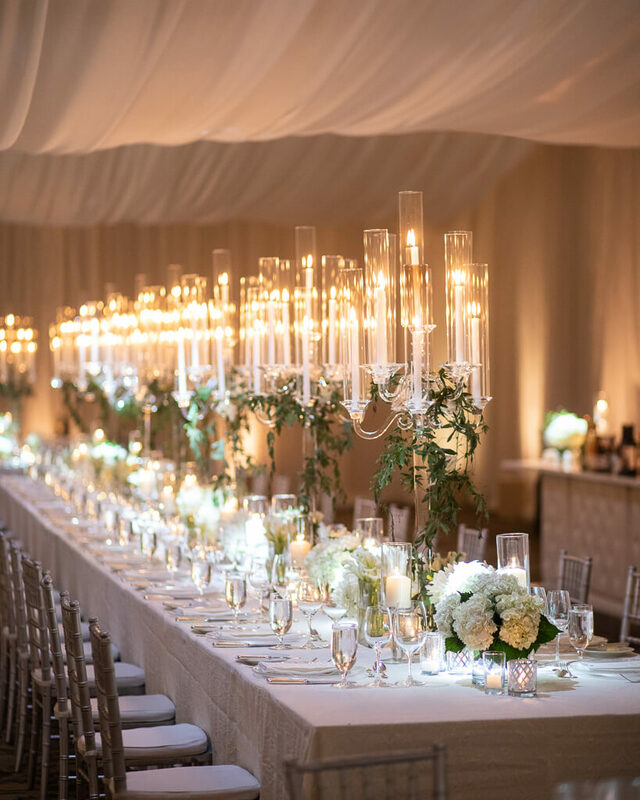 The duo worked with Kelly Leonard of Event of the Season to organize the sophisticated soirée complete with an alfresco ceremony and ballroom reception. 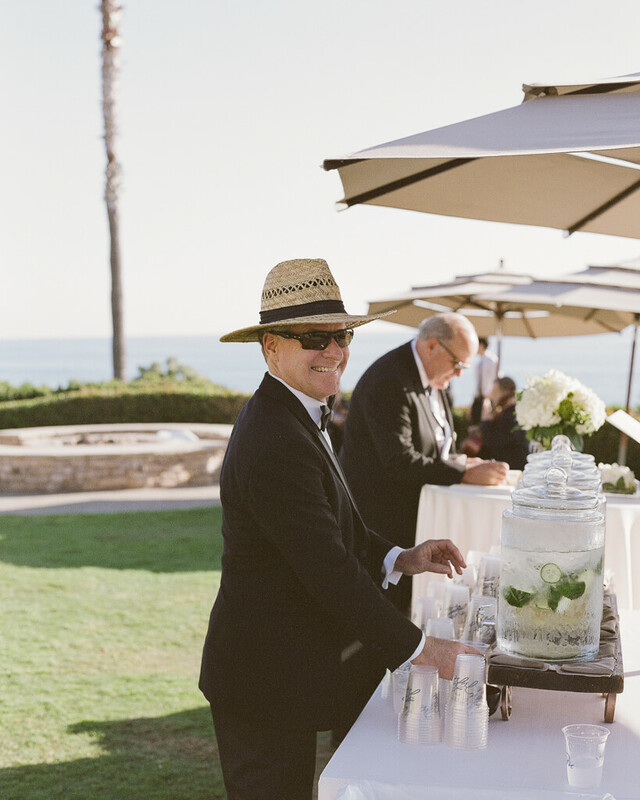 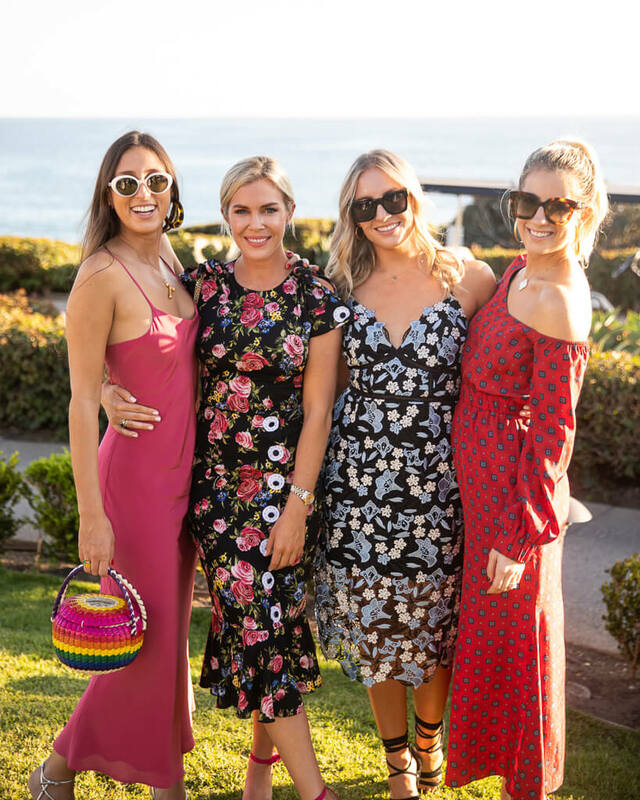 The skies were beautifully blue and the sun shined as friends and family enjoyed fruit-infused ice water and found their seats on a grassy lawn overlooking the Pacific Ocean. 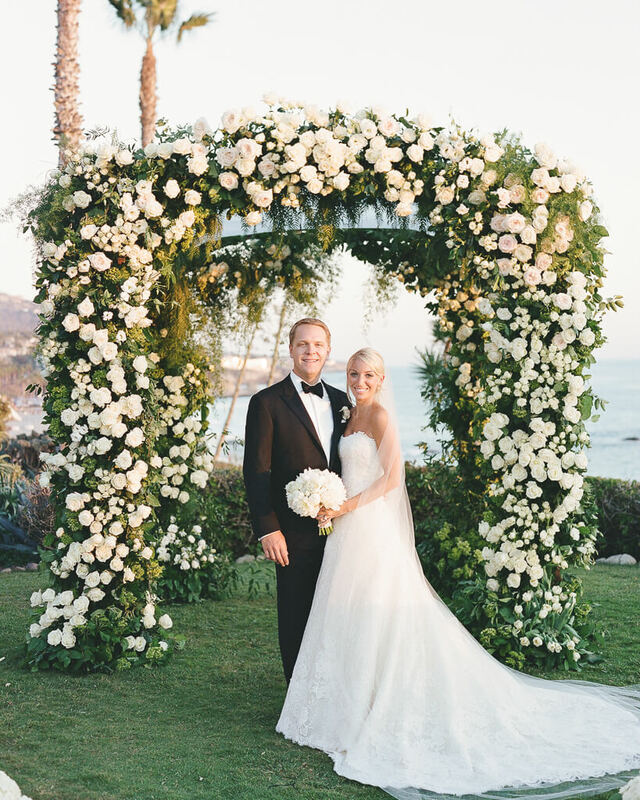 The entrance showcased large vanilla flower arrangements by The Hidden Garden, complementing the blooms embellishing the ceremony structure. 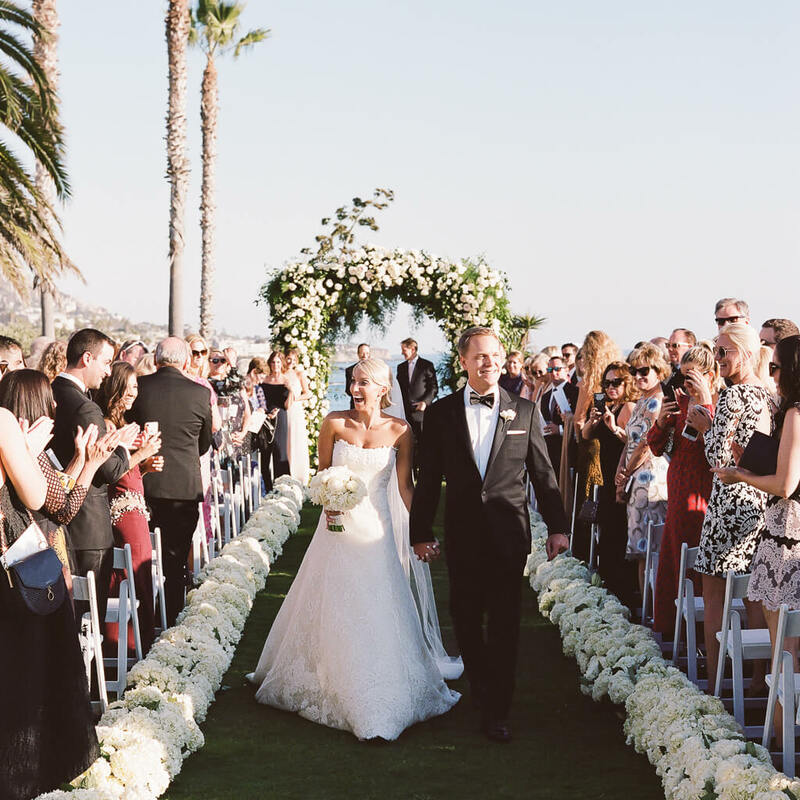 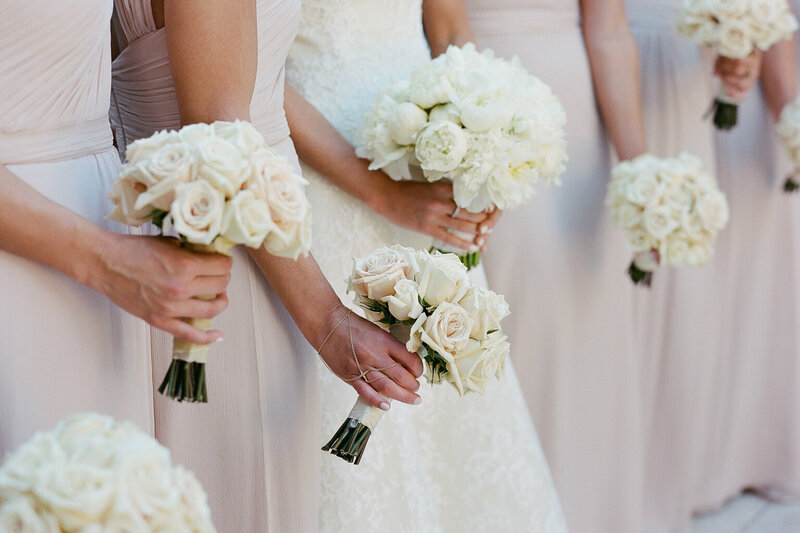 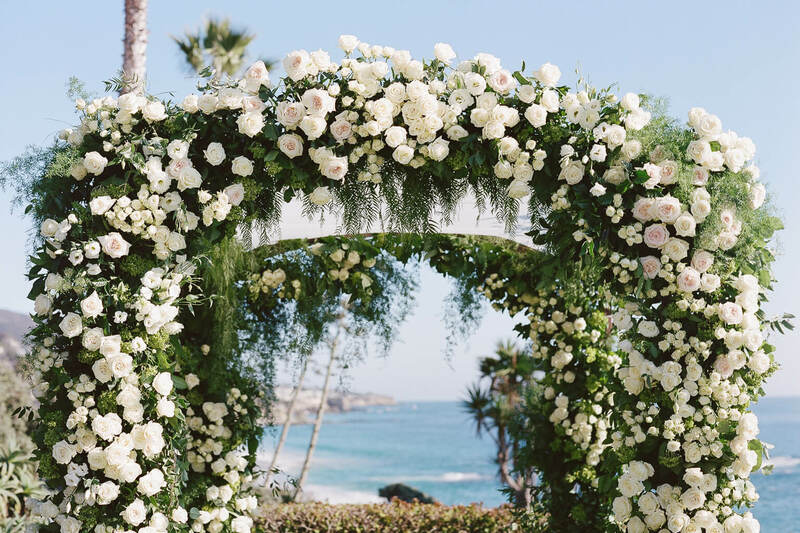 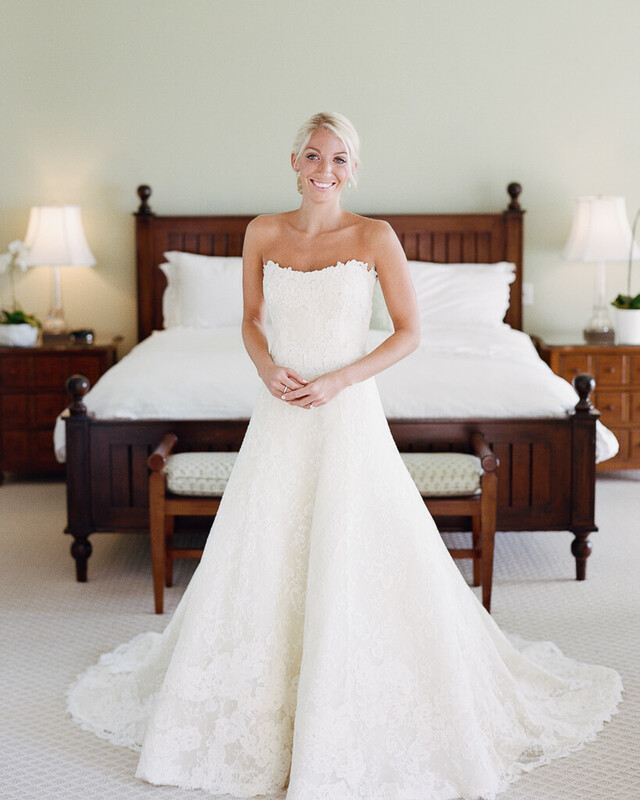 At last, the bride made her way down the aisle lined with alabaster florals in an elegant Vera Wang gown to meet her groom and exchange sentimental vows. 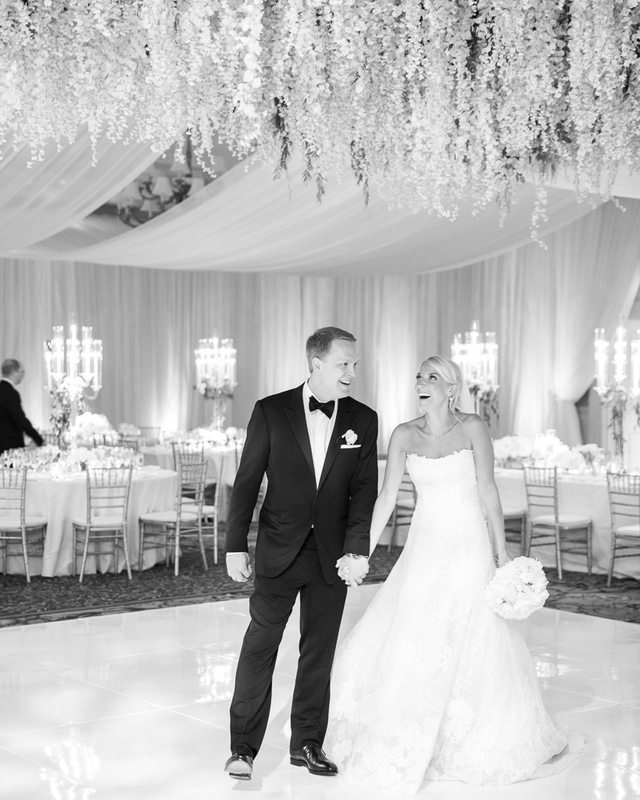 The ballroom reception featured gorgeous drapery overhead, as well as an impressive floral ceiling installation over the dance floor. 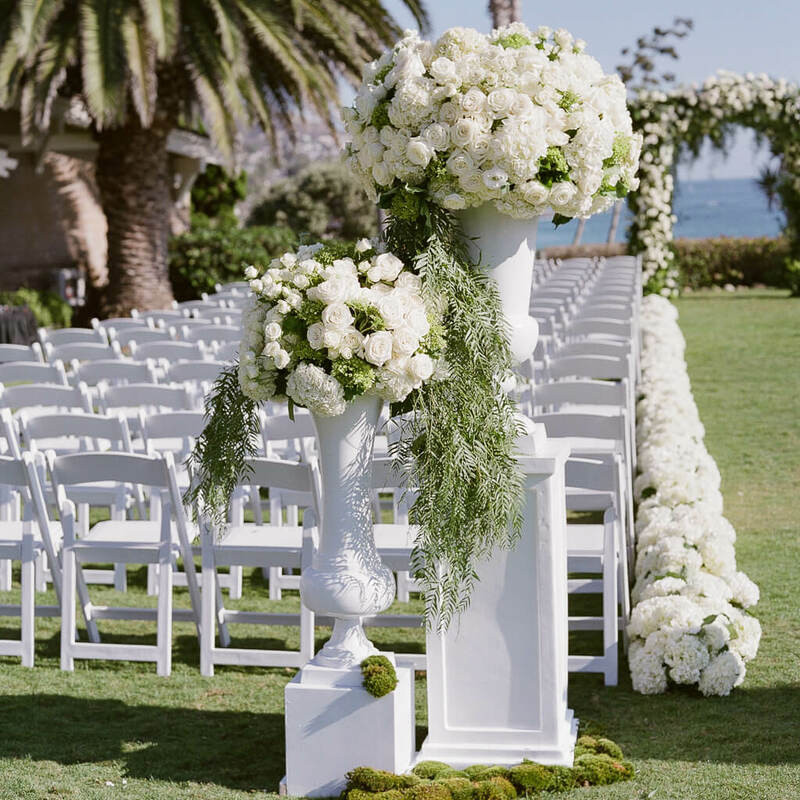 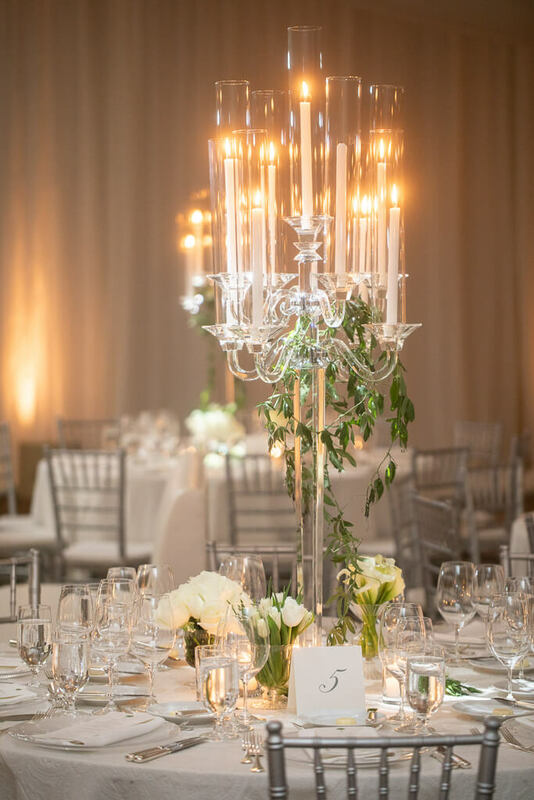 Attendees were seated at silver chairs with ivory cushions at long and round tables decorated with low creamy floral arrangements and towering candelabra displaying taper candles. 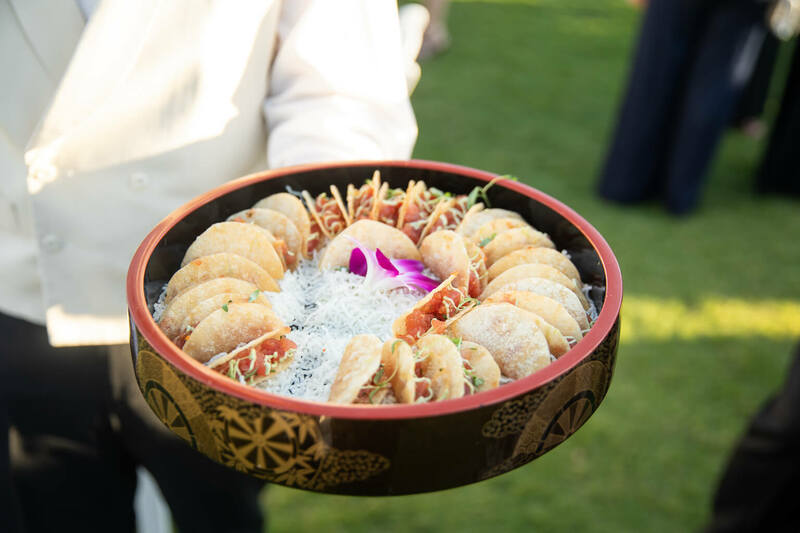 Slices of a four-layer wedding cake decorated with white roses and greenery were enjoyed and a night of revelry continued, complete with plenty of dancing, a surprise cigar roller, late-night tacos, and neon glow sticks.